David T. Ellwood, dean of the Harvard Kennedy School since mid 2004 (preceding Drew Faust’s presidency), intends to step down at the end of this academic year. The longest-serving current dean is relinquishing his role with the school’s $500-million capital campaign more than 70 percent funded, and after unveiling ambitious plans to expand and integrate its campus. 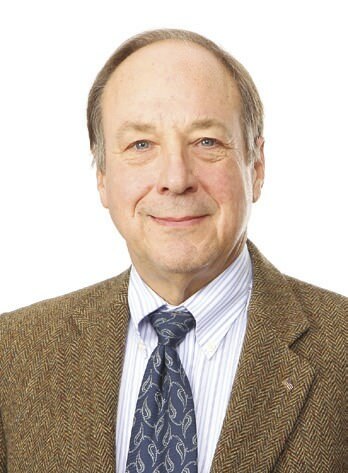 Following a sabbatical year, Ellwood will return to teaching and research; he joined the faculty in 1980. Somewhat surprisingly, Cherry A. Murray, dean of the School of Engineering and Applied Sciences (SEAS) since mid 2009, announced in late October that she would relinquish the post at the end of 2014, to return to regular service on the faculty. She, too, left on a high note, as a campaign gift funded a 50 percent expansion of SEAS’s computer-science faculty (see “The Campaign Computes”). Gordon McKay professor of computer science Harry R. Lewis will serve as interim dean, beginning January 1. 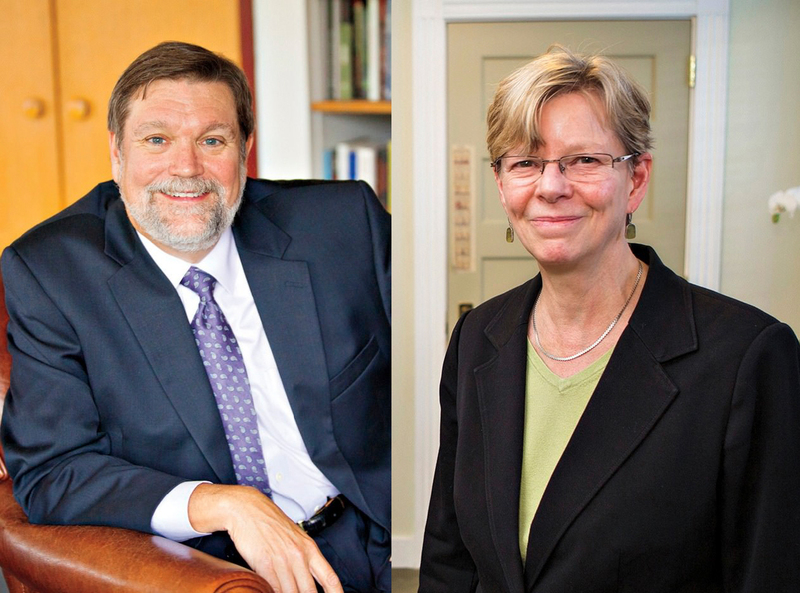 A search is under way for Murray’s successor, who will deal with much more fundraising, and with relocating two-thirds of the SEAS faculty to new facilities in Allston later in the decade. For full reports, see harvardmag.com/ellwood-15, harvardmag.com/murray-15, and harvardmag.com/lewis-15. Three students have been awarded Rhodes Scholarships for study at Oxford University. Ruth Fong ’15, a computer-science concentrator from Somerset, New Jersey, and Mather House, and Benjamin Sprung-Keyser ’15, an economics concentrator from Los Angeles and Kirkland House, won American Rhodes honors. Friederike “Fritzi” Reuter ’14, an economics concentrator and former Lowell House resident now working in Boston, won a German Rhodes. Michael George ’14 (’15), a government concentrator from Los Baños, Laguna, The Philippines, and Quincy House, and senior Anna Hagen, an English concentrator from Brooklyn and Lowell House, have won Marshall Scholarships. He plans to study at the London School of Economics and at Oxford; she will study at Cambridge and the Royal Academy of Dramatic Art. Computer Science 50, “Introduction to Computer Science,” which attracted the largest College enrollment during the fall term (and which in its online version attracts tens of thousands of students), is adding a venue: Yale has approved offering a version, using broadcast lectures and on-campus teaching assistants in New Haven, and Harvard has agreed. McKay professor of the practice of computer science David J. Malan, the course’s charismatic instructor, signaled the approval by posting a road-trip video from Cambridge to New Haven on the course home page. Fun aside, this is an interesting experiment in pedagogical collaboration—a rarity in higher education despite the emergence of online teaching, a highly acclaimed professor and course, and the intense demand for instruction in this field. Yale has opened the Yale Center Beijing, a university-wide teaching and research facility, somewhat like Harvard’s center in Shanghai, and introduced a dual-degree program between its School of Forestry and Environmental Studies and Tsinghua University, also in Beijing.…SOHO China Foundation, which surprised Harvard with a $15-million fund for scholarships for low-income Chinese students (see Brevia, November-December 2014), has now given Yale $10 million for the same purpose.…Engaged Cornell, which aims to combine undergraduate classroom learning with hands-on experiences, has begun funding course development; it plans universal coverage by 2025.…Brown University has announced BrownConnect, to make internships, research opportunities, and associated funding available to all freshmen, sophomores, and juniors—particularly those from low-income families. John Morgridge and Tashia Morgridge have given $100 million to the University of Wisconsin-Madison, the largest gift in its history, to encourage donations for new and enhanced professorships.…Berkshire Hathaway executive Charles T. Munger, a major supporter of the University of Michigan, his alma mater, has given $65 million to the Kavli Institute for Theoretical Physics at the University of California, Santa Barbara. 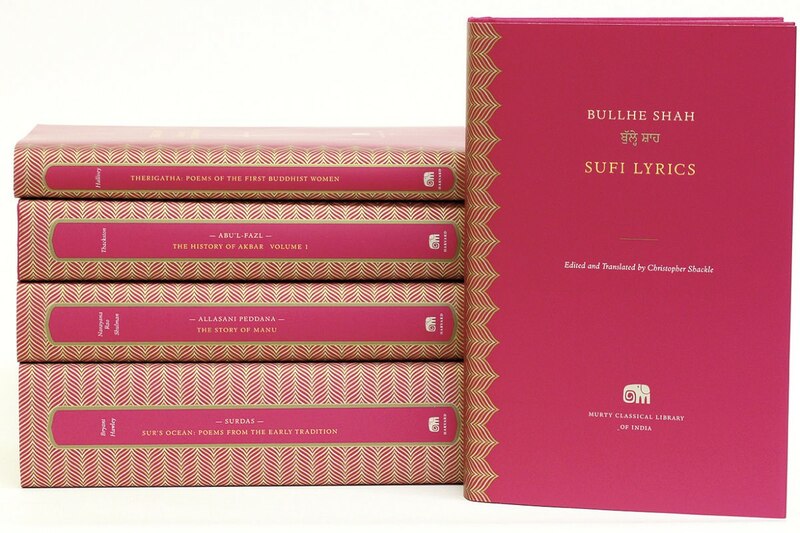 Harvard University Press has introduced the Murty Classical Library of India (www.murtylibrary.com), presenting modern editions of important literary texts, spanning multiple languages (among them, Bangla, Hindi, Persian, Sanskrit, Tamil, and Urdu), with facing-page English translations. (See Brevia, July-August 2010, for more on the library’s creation.) The general editor is Sheldon Pollock ’71, Ph.D. ’75, Raghunathan professor of South Asian studies at Columbia. The series, begun with publication of five initial volumes in January, complements the famous Loeb Greek and Latin texts; the I Tatti Renaissance Library; and the Dumbarton Oaks Medieval Library (launched in 2010). Biomedical innovators. The National Institutes of Health has recognized these researchers under its high risk-high reward program, which provides each honorand five years of research funding: Ethan Garner, assistant professor of molecular and cellular biology, New Innovator Award, for investigating the bacterial cell wall; Chenghua Gu, associate professor of neurobiology, Pioneer Award, for studying the blood-brain barrier; Alison L. Hill, postdoctoral fellow, Early Independence Award, for exploring computational tools to help find a cure for HIV/AIDS; and Donna Spiegelman, professor of epidemiologic methods, Pioneer Award, for pursuing effective public-health interventions. In the academy. Harvard affiliates inducted into the American Academy of Arts and Sciences in October include: Joanna Aizenberg, Berylson professor of materials science; Graham T. Allison Jr., Dillon professor of government; Helen Hardacre, Reischauer Institute professor of Japanese religions and society; Amy Hempel, senior lecturer on English; Vicki C. Jackson, Marshall professor of constitutional law; Jill Lepore, Kemper professor of American history; Ann Marie Lipinski, curator, Nieman Foundation for Journalism; Alvin F. Poussaint, professor of psychiatry; Bernardo L. Sabatini, Moorhead professor of neurobiology; and Sarah E. Thomas, vice president for the Harvard Library and Larsen librarian. Medicine men and women. Among the 70 new members of the Institute of Medicine elected in October are: Elliot L. Chaikof, Johnson and Johnson professor of surgery; E. Antonio Chiocca, Cushing professor of neurosurgery; Todd R. Golub, professor of pediatrics; Bradley T. Hyman, Penney professor of neurology; Paula A. Johnson, professor of medicine and of epidemiology; Meredith Rosenthal, professor of health economics and policy; Margaret A. Shipp, professor of medicine; and Bruce M. Spiegelman, Korsmeyer professor of cell biology and medicine. Miscellany. Madero professor for the study of Mexico Jorge I. Domínguez, the vice provost for international affairs, will relinquish that post in June, concluding a decade of service, to return to full-time teaching and research.…New Yorker staff writer Evan Osnos ’98 won the National Book Award in nonfiction for his first book, Age of Ambition: Chasing Fortune, Truth, and Faith in the New China (reviewed in the July-August 2014 issue).…Harvard’s renovated Bright-Landry Hockey Center now features Boynton Lounge, a concourse-level, members-only hospitality room with a “variety of first-class amenities,” including HDTVs and a fireplace, plus buffet and cash bar; season memberships cost $350.